For many people, a vacation is defined by being able to get away from it all, enjoy nature, unplug, and just relax. This is exactly what the Isles of Scilly can offer to visitors as they are an uncrowded gem that many don’t even realise exist. They haven’t been built up by businesses and industries, which mean you get that true sense of nature and relaxation the moment you arrive. So, what can you do in these lovely untouched Isles and where exactly are they? Let’s take a closer look. The Isles of Scilly are in fact made up of five islands, which can be found just 35 miles off the coast of Cornwall. 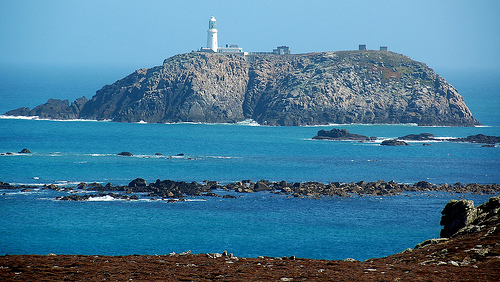 The five islands are St. Agnes, St. Mary’s, Tresco, Bryher, and St. Martin’s, and each one has its own unique personality and sights. Now even though they are just a short distance off the coast, the scenery and way of life couldn’t be any different to other areas in England. On the islands, you can expect a much slower pace of living, a real focus on the natural beauty, and visitors absolutely love the fact that it is so uncrowded and unspoiled. There are a few ways you can reach the Isles of Scilly, which also adds to the whole experience. You can travel by passenger ferry, by helicopter, a small plane, or by a cruise. For many, the fact that the Isles are untouched and quiet is reason enough to visit, but there is much more to these five islands than just their serene atmosphere. Between the five islands, there are more than 35 beaches visitors can explore, which are ideal for watersports like kite-surfing, kayaking, sailing, and windsurfing. Wildlife enthusiasts will revel in the opportunity to check out a wide array of seabirds, view dolphins, seals, and even basking sharks. For an extra special experience, you can even take part in a tour of the uninhabited islands to view the wildlife in those areas. If the beach isn’t enough of a draw for you, then you can tour the islands by bike or foot, both of which are an excellent way to take in all the sights and sounds. History buffs will want to check out the guided walking tours that focus on the archaeology and history of the islands. St. Mary’s even has its own museum where visitors can learn about life on the islands, piracy, and even shipwrecks. Of course, what’s a holiday without some fabulous food and drinks to go with it? You won’t be disappointed in the island offerings as there is plenty to sample. The focus is on locally grown and sourced options. What this means is that you’ll be getting the freshest dishes imaginable. There is even the Holy Vale Vineyard & Winery on St. Mary’s, which is open on weekdays. The Isles of Scilly offer visitors the unique opportunity to enjoy a serene, beautiful, and memorable experience without having to travel a great distance.